Oct 05 2003 The SSM & DSM Series Stud Mount load cells are designed to be surface mounted with the load applied through the mounting stud and with a stud at each end for easy in line mounting, respectively. Each can be used in tension and/or compression applications. Ranges are available from 50 lbs. through 10,000 lbs. 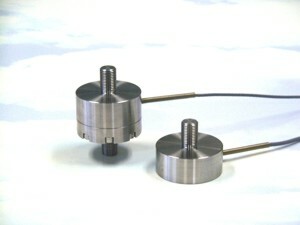 These sensors are manufactured from heat treated 17-4 ph stainless steel and the sensing element incorporates bonded foil strain gages of the highest quality. Rated outputs for both the SSM & DSM are 2 mV/V with accuracies of Nonlinearity 0.15%, Hysteresis 0.15% and Nonrepeatability 0.05% or better. They are supplied with Certificate of Calibration traceable to N.I.S.T.